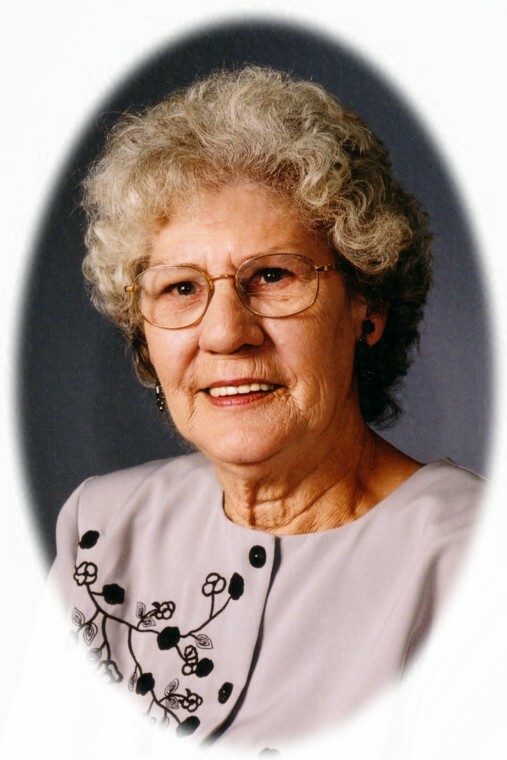 Evelyn Jean Pearce passed away at the Ross Memorial Hospital, Lindsay on Sunday, October 14th, 2012. Born in Newcastle, Ontario on June 7th, 1927. Beloved wife of the late Josiah Percival Pearce. Loving mother of David (predeceased) survived by his wife Pat, Diana Andrews, Brenda Pearce (Ken McKay), Kathleen Nesbitt (Don Holbrook), Clinton (Bernadette), Kevin (Shelly) and Colleen Mohamed. Remembered by her grandchildren Shari, KariAnn, David, Stephen, Amanda, Jeremy, Ellen, Monica, Sam, Aaron, Jacob, Chanel and Yusef. Also survived by eight great grandchildren. The family will receive friends at Parker Funeral Home and Cremation Centre, 19 Moose Road, Lindsay on Thursday, October 18th from 1:00 pm until time of funeral service in the chapel at 2:00 pm. Reception to follow. If desired, in memoriam donations to the Ross Memorial Hospital Foundation or the Humane Society of Kawartha Lakes would be appreciated. Online condolences may be made at www.parkerfuneralhome.ca.